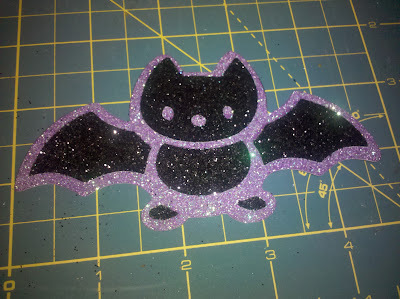 Black & a purplish glitter paper from target. They are only $1 for two sheets & cut great. Very important to use a quick dry glue like Scotch Quick Dry Adhesive when gluing together glitter paper. Also put a book or something on top of it while it drys a little or the pieces pop off. 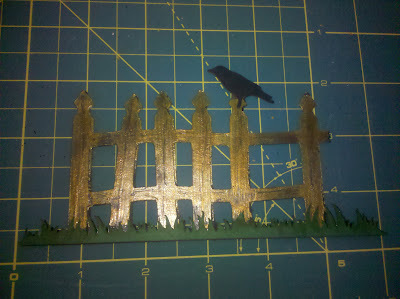 My Distressed Fence with a crow. Cut the grass once & the Bird once. also I found a cool affect by accident. If you put on a thin line of glue with a Zig Two Way Glue Pen glue along the fence vertically it gives and even better effect of an old fence. Once the paint is dry go over the fence with the Walnut stain & Weathered Wood Distress inks. Rub them in a little till you get your desired look. The ink takes a little longer to dry because of the paint so be careful. 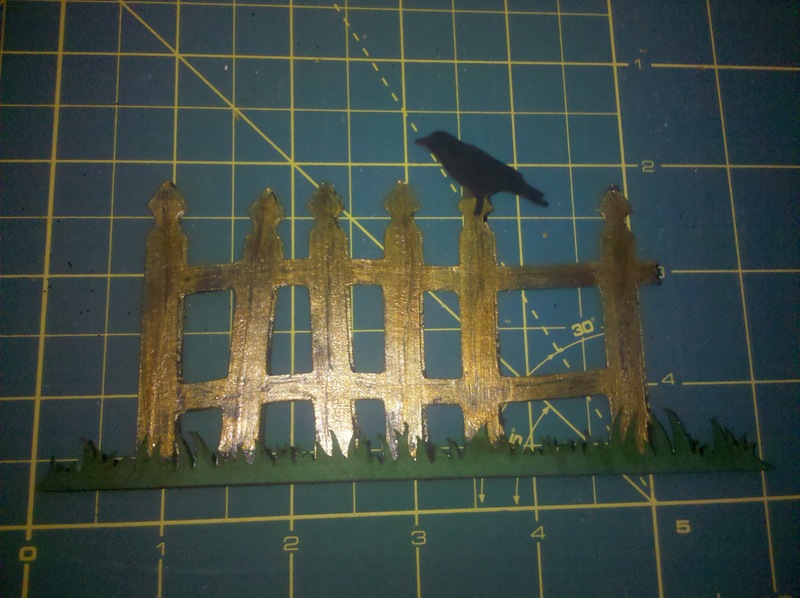 Last glue on the grass and the bird piece.